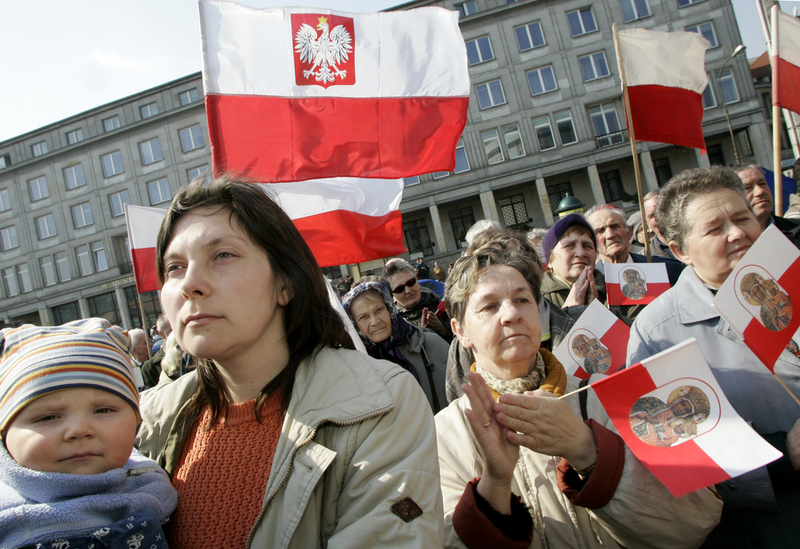 About 70 Poles have rallied outside a Roman Catholic bishop's residence in Warsaw in opposition to the church's campaign against in vitro fertilization. A liberal politician who organized the rally on Thursday, Janusz Palikot, nailed a copy of Poland's constitution to a wooden cross to emphasize his view that the church is violating the separation of church and state. One protester held a sign that read, "Poland is not Iran" while other demonstraters chanted, "The constitution, and not the Bible!" The protesters are angry that the church is trying to persuade lawmakers to vote against a government plan to offer state funding for the medical procedure. IVF is a highly contested issue in the traditionally Catholic country.